Sometimes when we become so involved in the day-to-day activities of life and work, we forget there is a part of use that wants to serve and make a difference in the world. 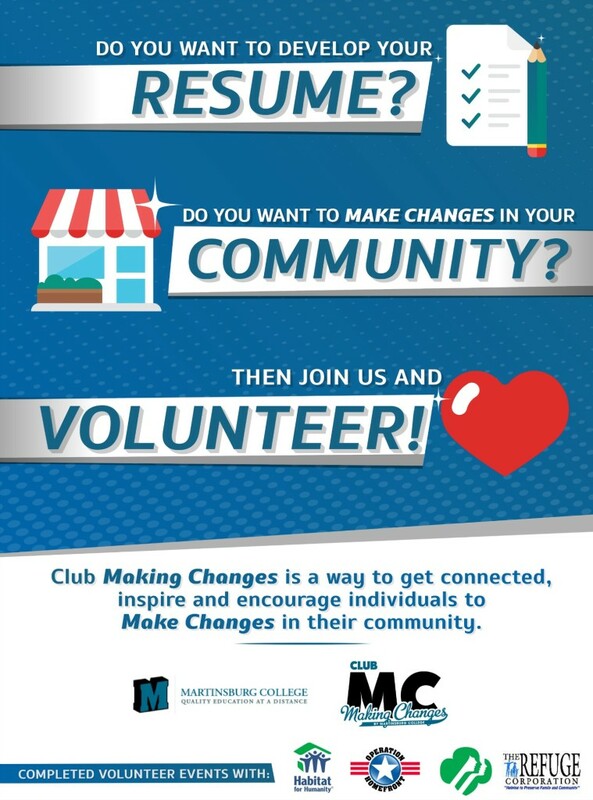 Club MC is a way to get connected with other students at Martinsburg College and Make Changes in your local community. 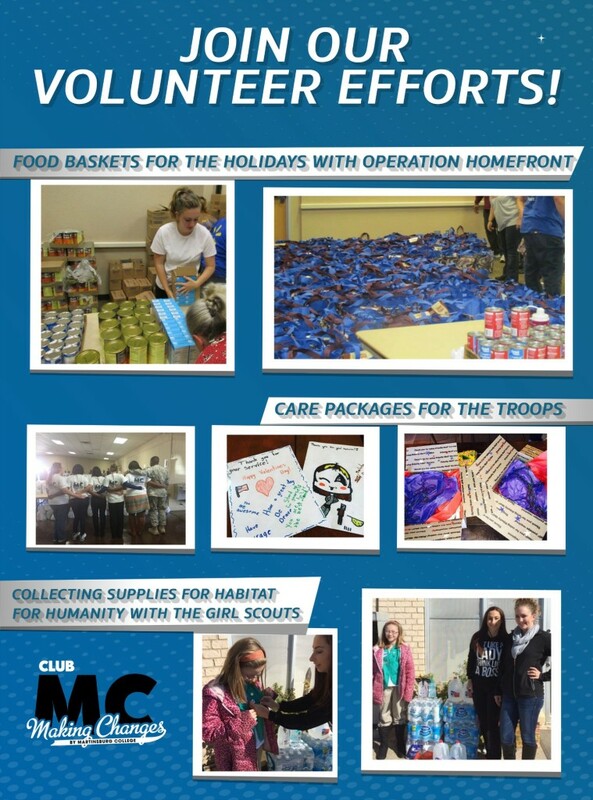 Volunteering can also help job seekers fain experience in a new field and build their resume.